I was born in 1982….born again that is….and this is how I remember it. After trying to come to grips with this unsettling and seemingly hopeless situation, I realized I had only one option left… I had to give up! I needed to surrender to this Jesus whom I didn’t know or even understand. I did what I had to do… I did what I felt compelled to do. I know now it was the Holy Spirit drawing me. I got on my knees and told Jesus I couldn’t live like this anymore… I was done fighting. “Please help me… please come into my life.” I told Him I was sorry for being angry and doubting and not living as I should. I asked Jesus to forgive me. I asked Jesus to hold on to me and not let me go. When I got up from my knees, I knew the battle was over, I was free, the weight had been lifted. I knew Jesus loved me and cared for me. My eyes had been opened, Jesus came into my life and I have never been the same. There were people in my life who prayed for me, I’m sure, but no one ever witnessed to me or told me that I needed to accept Jesus as my Savior and Lord. Going to church as a child, I wasn’t taught the Bible. It was salvation by works; no one could ever really be sure of their salvation. I stopped going to church in my early teens. 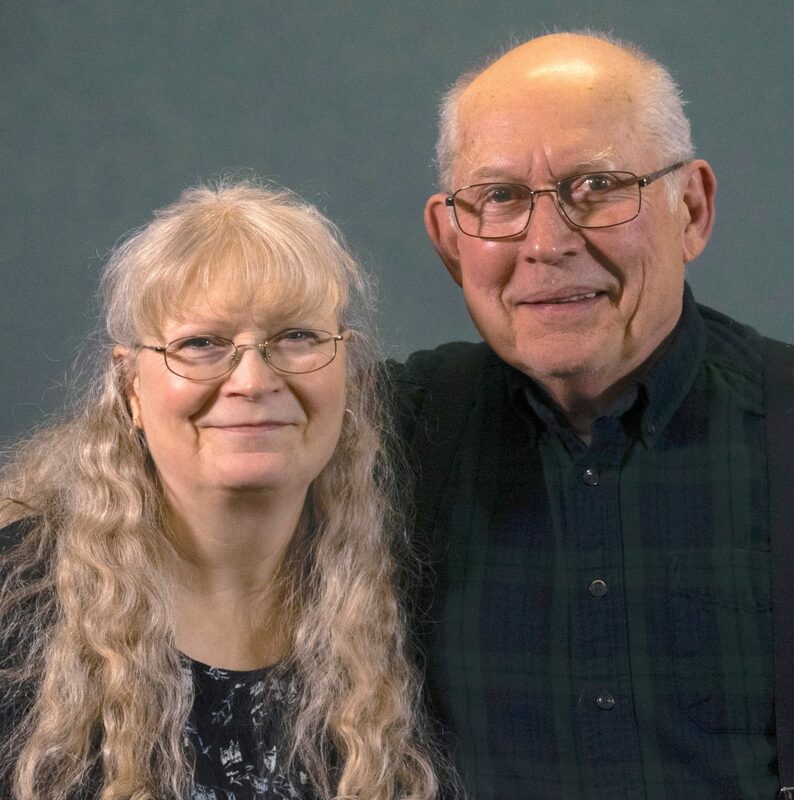 In 1972, God gave me a wonderful husband who was as unsaved as I was – but God had a plan! We were happily married and busily raising our three young children, but when adversity came, it became apparent that there was a void in our lives. At age 27 I “happened” to read “The Late Great Planet Earth” – reading about Bible prophecy opened my eyes to the truth of God’s Word. When I read the chapter about having a personal relationship with Jesus Christ and being saved, I responded to the invitation and immediately had a joy and peace I had never known before! I wanted to tell everyone what happened to me, and that they could be saved too! My husband didn’t understand at first, but God was working in his heart, and he came to believe as well. After many years of being involved in different churches and denominations, we started attending a Calvary Chapel in 1995. It is a privilege and joy to serve the Lord, and it is most rewarding serving Him together as husband and wife. Alan manages the Book Store and Library. Judy leads the Tuesday Morning Women’s Prayer Meeting. Alan & Judy also serve as part of the Pastoral Care Team.